A miscommunication has left young speed skaters in the Interlake disappointed about a sudden loss of ice time at the Selkirk arena. Mom Sarah Stoecklin-Falk said this season was her 7-year-old son Owen’s first with the speed skating club. “He loves the thrill of speeding along in his special speed skates. He enjoyed hockey but found the sport a bit slow-paced for him so we looked at speed skating. He has taken to it like a champ,” she said in an email to CTV News. She recently learned Tuesday night ice times were no longer available. “We find it frustrating that there are so many different sport teams out there and so little ice time to accommodate them,” she added. 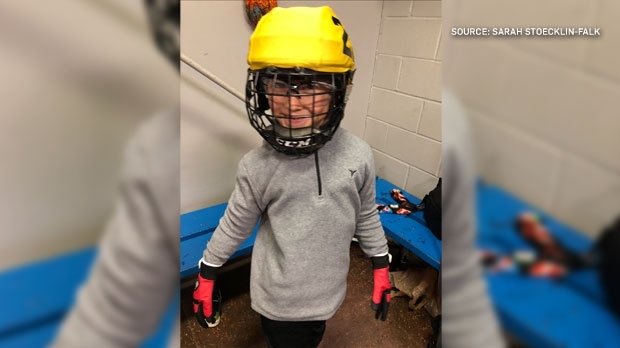 Another parent told CTV News their child burst into tears after losing the valuable time to practice ahead of provincial competitions. An email obtained by CTV News from the Interlake Speed Skating Club (ISS) to parents said it was ‘dismayed beyond words’ that the Tuesday night ice times in February leading up to short track provincial competitions were no longer available. “This was a decision made by the City of Selkirk to reassign our ice time to high school hockey during their playoff season and in our experience, is unprecedented and disappointing,” the email said. The email also said ice times would continue to be available on Sunday mornings and the skating club would be in touch about any further developments. “The club does not want to give a message or comment. We are working with the City of Selkirk and collaborating on our concerns,” said Christine Duprat with the Interlake Speed Skating Club in an email to CTV Winnipeg Monday. The city said the Interlake Speed Skating Club was provided a schedule in October. “Unfortunately ISS only noticed last week that they were not scheduled for three Tuesdays in February (12th, 19th, 26th),” the city said in an email to CTV News Monday. The city said it was contacted by the club last week and have made it a priority to accommodate their request for alternate ice time. In a second email obtained by CTV News, the club said it appears due to a few (mis)steps, their ice was assigned to high school hockey play-offs earlier in the season. “Unfortunately, these changes were not highlighted to the club nor did the ice planning person at the city catch them in time to notify us or help us plan for this. They recognize this as a concern. They remain committed to all user groups. The problem is now it is too late to change the schedule as they prioritize any sort of playoff (and our Short Track Provincials) ahead of practice times. We are working with them to get practice ice rescheduled and will keep you posted. (As an aside, these ice times are billed after we use them and so we do not get charged for ice we have not booked and used)” the email said.